The writing and documentation of the Hadith [often referred to as Sunnah by some] is an interesting and important part of ‘Islamic history’. In all its details, the reader of this history will conclude that there are indications that God permitted the circumstances for these hadith be compiled and the corruption thereof. As The Almighty said in the Quran. “Likewise did We make for every Messenger an enemy, evil ones among men and jinns, inspiring each other with flowery discourses by way of deception. If thy Lord had so planned, they would not have done it: so leave them and their inventions alone” “To such (deceit) let the hearts of those incline, who have no faith in the hereafter: let them delight in it, and let them earn from it what they may” [6:112-113]. If we examine the Quran (as advised 4:82; 47:24), it becomes clear that fabrication of stories, events and narratives was a problem even at the time of the Prophet (peace be upon him). It is no coincidence therefore that the Quran refers to itself as the “Best Hadith” indicating a preference over all other thoughts and narratives that were in circulation. 39:23. The divertive, frivolous, idle hadith which is being referred to that leads man astray from the path of God without knowledge. These are fanciful discourses, narratives and literature which have no real substance and only serve to lead mankind far away from the path of truth and can only work counterproductive to true guidance. The above verse is clear evidence that idle tales were even being disseminated and purchased at the Prophet's time during his Prophethood. One obvious question then arises. If this was a problem extant at the Prophet's time, then how much worse did the problem potentially manifest after his death? God repeatedly told us in the Quran that His book, is complete, perfect and fully detailed 6:19,38,114,115; 50:45, 12:111. That there is no need for other hadith books 68:36-38. The Quran is self-sufficient, thus those who do not find the Quran to be self-sufficient will be akin to committing ‘idol-worship’ by taking Scholars or Jurists as partners with God, in setting the law or overruling the Quran see 9:31, 12:40. If God's truth in the form of His revelations are recited to such a one, they turn away in arrogance. This can be seen clearly in the very next verse. There will always be people that will prefer idle / divertive tales (Lahwal Hadith) to the true realities of life. This has been powerfully addressed in the following verse and it is these people that are being rebuked in this verse. Life indeed has an important purpose thus must be taken seriously. This is as true for industry, politics, and world affairs as it is for Divine guidance. From such tales books were written. The Quran’s, thus the Prophet’s perspective, a new unrecognisable religion/revelation was formed that dominated over the Quran despite the claim for the opposite. In writing these books, the authors fulfilled the ominous reality as a trial by God 6:112-113. Thus, the popular Hadith corpus existing today, were made possible by Man’s development of Hadith science and scholars deserve appreciation for their painstaking work and contribution towards safeguarding the historical heritage of Hadith literature to the best of their ability. However, the objective of the Hadith science should be re-evaluated and the sacrosanct perception of such literature should be re-examined in the light of the Quran. Despite the undeniable fact that the Hadith compilations cannot be certified from being contemporary of the Prophet’s lifetime unlike the Quran. Many of the Muslims in general regard the Hadith compilations with a respect that matches and sometimes exceeds that of the Quran. However, God already informed us in the Quran that His book is the best Hadith 39:23, and that people should only seek His Hadiths 7:185, and queries why the people are not satisfied with His words, surely, a sign to introspect 45:6. 68:36-38. This however does not imply that all Ahadith [Hadiths] are automatically false, no doubt some are parallel with Quranic principles and values. Nor that any beneficial knowledge cannot be attained in the Hadith corpus but rather, the Quran admits no other source to be used in conjunction with the Quran's interpretation or as a separate source for law or judge. 45:6, 6:114. Therefore, the question of 'authenticity' of the Ahadith corpus is relatively irrelevant from the Quran's perspective. Rather, a more pertinent question is with regards the 'authority' of the Ahadith corpus and if the Quran recognises any other authoritative source to begin with. Are the various Ahadith Corpus divinely protected/preserved? Are the persons who collected these Ahadith infallible? 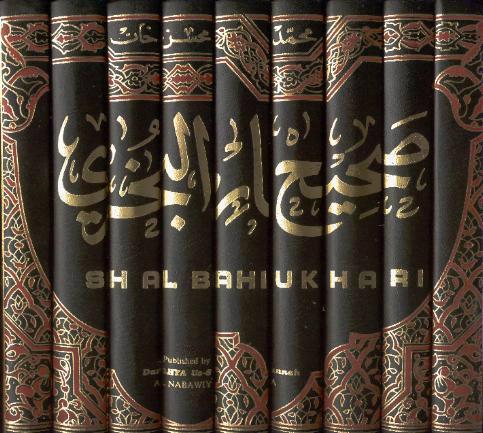 Is the science of hadith compilation infallible? Are there any Ahadith that contradict each other and moreover the Quran? Does the Quran order Mankind to follow such Ahadith corpus? Do these ayat refer to other than the Quran 15:9 and 41:41-42. “Our Lord, forgive us and our brothers who have preceded us in faith” [from Surah al-Hashr: 10].